Tim Fisher: Coventry City is not for sale. Coventry City Chief Executive Officer, Tim Fisher. 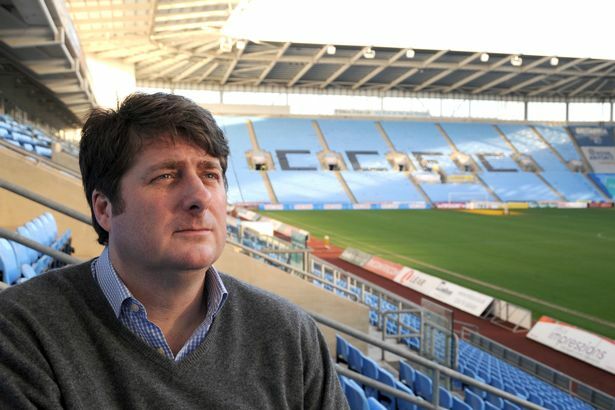 Coventry City’s current Chief Executive Officer, Tim Fisher, has denied the Sky Blues are up for sale. Speaking to BBC Coventry & Warwickshire’s Stuart Linnell, Fisher said: “The Administrator (Paul Appleton) is undertaking his role as an officer of the court and to his opinion has decided that the Golden Share is in CCFC Ltd. We (SISU) maintain that it is in CCFC Holdings, we have a raft of evidence that it is in Holdings and have traded as though it has always been in Holdings. “All the Football League money, transfers, third party service provider etc has gone through Holdings because Holdings have the bank account. It is fact that the Football League has always treated Holdings as a member club. The Golden Share is in Nick Clegg’s (Football League Complliance Officer) top draw. « Coventry administrator sets take-over deadline.